Angolans migrated from Angola to North America. While there are over 90 people groups in Angola speaking a local language as their mother-tongue, they speak Portuguese, along with French and English, and Lingala, one of the more prominent languages spoken in Angola. They are part of the Other Sub-Saharan African people cluster within the Sub-Saharan African affinity bloc. Globally, they are dispersed with over 100,000 Anglans dispersed in at least 4 different countries. Angola is known for its traditional ethnic art, such as the masks and statues of the Chokwe people in the eastern part of Angola. Funerals are extremely important events; mourning rituals often are regarded as essential for the peace of the deceased's soul. Traditionally, their primary religion practiced is ethnic religions with a minority being Christians. The majority of Angolans are Roman Catholic. However, many are nominal Christians while at the same time adhering to ethnic religious practices. 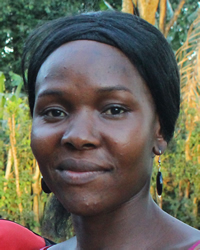 Ask God to work in the lives and hearts of Angolan people who have become nominal Christians. Pray that evangelical Christians will cross cultures to share the message of Christ with their new foreign neighbors, the Angolans, in North America. Ask God to work in the lives and hearts of Angolan people who adhere to ethnic religions or claim no religion.